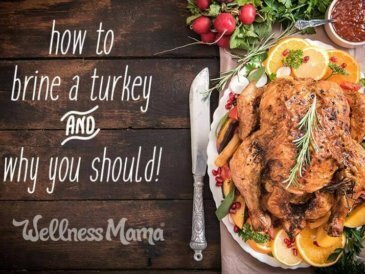 My favorite healthy, real food poultry recipes for busy families can be found below. All recipes are grain-free, dairy optional and kid-approved. Need help meal planning? Check out my meal planning service! 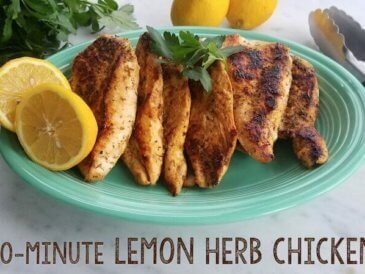 Make quick and easy lemon herb chicken seasoned with Italian herbs and garlic. 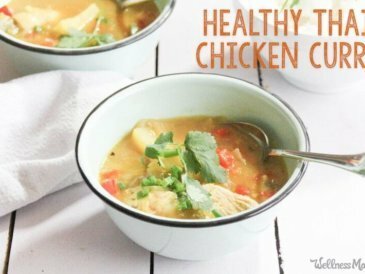 Double the batch and have leftovers for fast easy meals all week long! 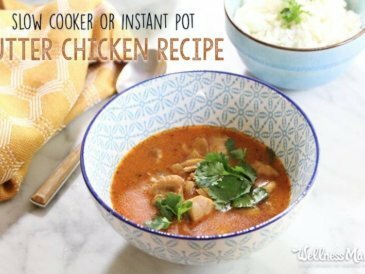 A fast and easy Instant Pot chicken recipe with a rich and flavorful sauce of garlic, tomatoes, curry powder, and coconut milk. 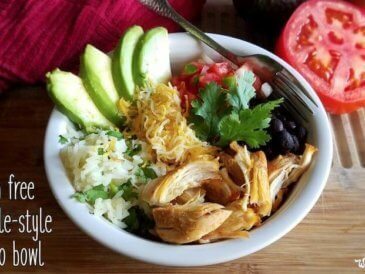 This healthy chipotle burrito bowl is a fast dinner option for a busy weeknight and each family member can assemble his or her own! 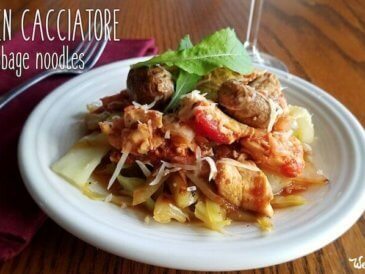 This grain-free chicken cacciatore recipe uses cabbage noodles in place of pasta for a more nutrient dense but equally delicious dinner. Recreate this traditional Vietnamese meal in the Instant Pot. 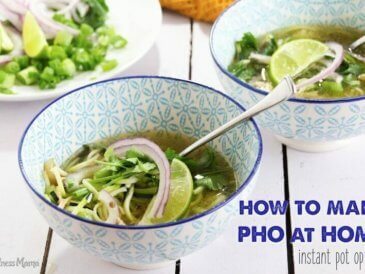 This chicken pho recipe just as good as take-out and costs so much less to make! 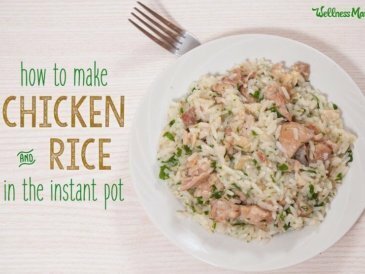 This flavorful chicken and rice recipe is a quick and healthy version of the classic casserole dish. Makes a perfect family meal on a busy weeknight! A decadent yet healthy Butter Chicken made dairy-free with coconut milk. 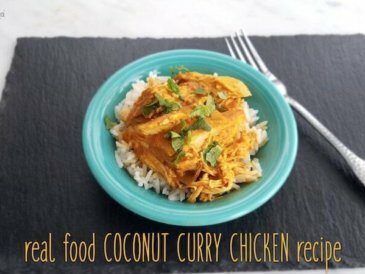 Try it in the Instant Pot for a quick weeknight meal that is anything but ordinary! Brine a turkey in this mixture of water, broth, apple cider, salt, citrus, and spices for the most flavorful and moist turkey ever! 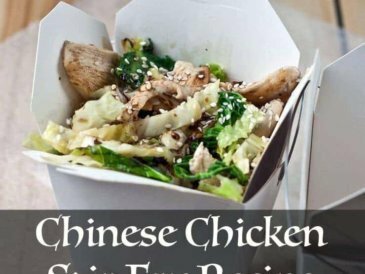 This easy chicken stir-fry is budget friendly and delicious. It comes together quickly for a fast and easy meal. 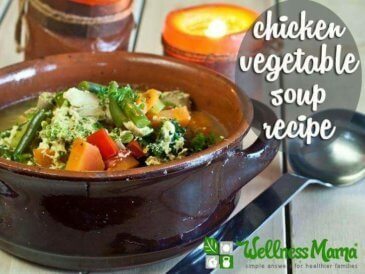 This chicken vegetable soup recipe is a family favorite that includes tons of nutrients from herbs, spices and vegetables. Simple and delicious honey garlic chicken thighs are a great budget-friendly and kid-friendly meal idea for a busy night. Gluten and grain free!